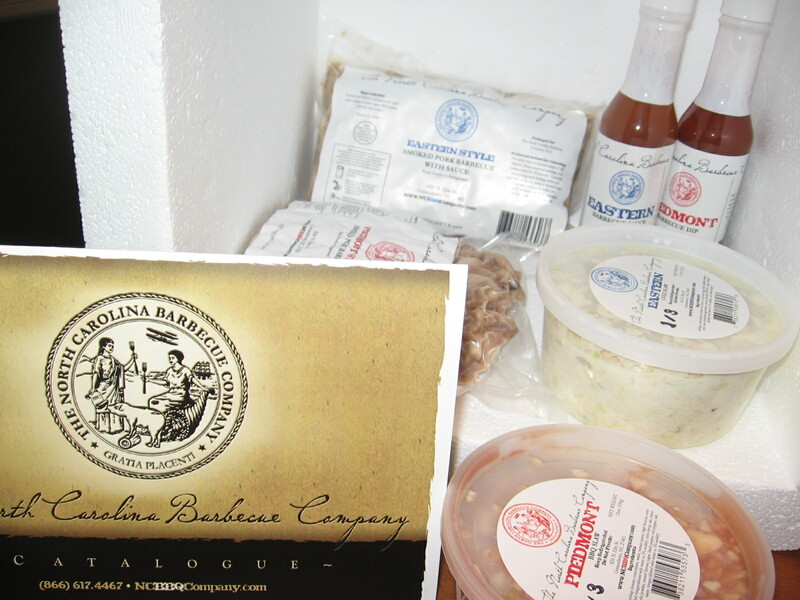 Rick Scott and Ryan Pitz teamed up to form The North Carolina Barbecue Company, a mail order business established “to deliver to doorsteps across the country the unique culinary culture of our great state.” The North Carolina Barbecue Company is unique in offering both Eastern and Piedmont/Lexington-style ‘cue and slaw for delivery. Recently I sat down (at my laptop) and interviewed Rick and Ryan about how they got into the barbecue business, battle boxes, and why mail order hush puppies are an elusive goal. Just possibly the classiest looking sign in all of NC BBQ land. Even if Stamey’s food was bad (and Lord knows it ain’t), I’d have to give them plenty of credit. The members of the Stamey family are legends of NC barbecue, and smart businessmen to boot. Their grand, lodge-style building right across the street from the Greensboro Coliseum, the site of dozens of ACC Tournaments over the past several decades, is evidence of that. What better place to sell barbecue, and to spread your reputation, than across the street from a huge arena that attracts hoardes of hungry hoops fans from across the state and beyond? The fact that the Coliseum opened six years after Stamey’s did shows either that the Stamey family was a bit lucky or they were really good businessmen.